Time Capsule is a monthly column in which I review albums that are just over a decade old. You know, to make you feel old. They say time flies when you’re having fun, and that implies some sense of happiness, but time has flown for Tim Kasher as well. Tim is the lead singer and primary songwriter of the band Cursive, and fills the same position for his other band, The Good Life. Both of these bands are known for their gloomy outlook on most situations and the aggresive (or gently pessimistic) way those thoughts are presented. Cursive rose to critical acclaim with their album The Ugly Organ, originally released in 2003. It was put out through Saddle Creek, a record label that also supports the infamous Bright Eyes, along with many other notable artists. The band reissued the record in 2014 with another disc of B-side tracks. The record opens with an ambient prelude, “The Ugly Organist.” It is a combination of small, faint conversations paired with a swelling organ sound that grows into loud, dissonant chords. One can only assume this is the “Ugly Organ”. It ends with some intelligible shouting that resembles an angry circus ringleader. 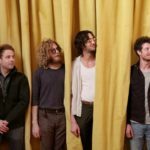 This immediately sets off the album as cohesive and thought-out, as opposed to taking the easy way out with a random pile of disconnected songs. It would be a stretch to call this a concept album, but there is an absolute and intangible ghost that haunts every song alike. 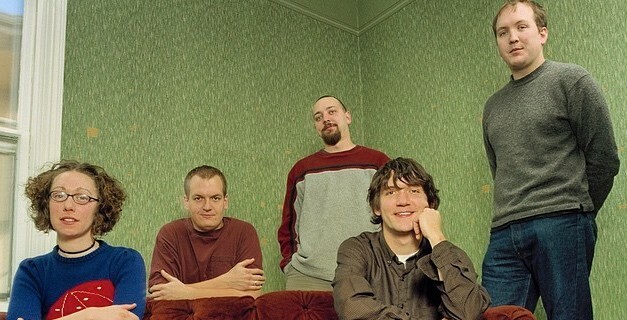 I first got into Tim Kasher’s music through his band The Good Life. Their record “Album of the Year” fell into my hands when I was searching for bands that sounded like Bright Eyes, and they do, which is why hearing Cursive for the first time was jarring. The second track and first song, “Some Red-Handed Slight Of Hand,” is a short and tense piece that forces you into the album and out of the ambient nature of the preface. It’s a little abrasive at first, but they really show off their cello player in the opening riff, aligning it with distorted guitar and giving us that wonderful experience of acoustic instruments fused with electronics. This song also sets off a running theme we’ll encounter later in the record: self loathing. Tim sings in the intro, “And now we proudly present/Songs perverse and song of lament.” It’s fair to think that Tim is the model for the “Ugly Organist,” and much of the album is then rendered as introspection, both into one’s life and also the art they create. “Sing along, I’m on the ugly organ” he continues. “Art Is Hard” continues in the same angsty vein, once again showing off the cello with a lead position. This song really takes the musical introspection to a new level. In the lyrics, Tim is calling out the young artist; someone who thinks art must come from suffering, even if it’s useless and self-imposed, just to “boost your CD sales”. “Gotta sink to swim” is another lyric tossed throughout the song, and it’s said with irony. Is he bashing another artist in particular, or is he looking inside and finding something worth making fun of? This could also be interpreted as a bash on the music industry as a whole, which was very different then than it is now, or at least for small labels and artists. “The Recluse” is one of the best tracks on the album, and definitely one of Cursive’s most well known songs. Its lost some of the emo edge the first songs had, but is replaced with a slight gentleness and some near-whispered lyrics. The song finds our troubadour trapped in the web of a stranger’s bed the morning after. “I wake alone in a woman’s room I hardly know. I wake alone and pretend that I am finally home” comes as an intro and a bit of a refrain within the song, poising it as a central image. Following suit, introspecting ensues. He questions his desperate nature and the life of a popular artist in the modern world. The album continues with another ambient transitional piece. While the casual listener may blow these off for whatever reason, they really add an interesting texture and context to the album. One of the ways a group can make their album cohesive is by doing something like this: painting the album in a way that pushes the listener to hear it as one continuous piece, or at least arguing that it deserves a full sit down and listen-through. The next song is the most important thematically. Tim both directly confronts himself and his own name along with the ugly organ itself. “Butcher the Song” is about Tim’s ex-wife, and how she always found herself in his songs as the antagonist and enemy of the singer. This seems relevant and sensible: of course the tortured song writer is going to write about his or her muse, good or bad, because it is their muse. The song if full of heavy downbeats, making it one of the most aggressive songs on the record. 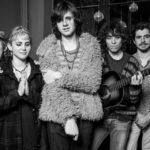 “Driftwood: A Fairy Tale” takes a bit of a lighter route sonically, and is a prime example of the flexibility of this band. 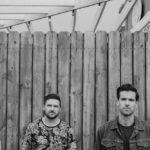 The groove is similar to “The Recluse,” but now the lyrics are poised in the narrative of a fairy tale. Tim even name drops Pinocchio. “A Gentleman Caller” comes back to a viscous sound we’ve heard on this record before. The song doesn’t stick out from the others, but the thematic nature of the album and continuing themes makes it difficult to remove from the canon. The trading guitar/cello riff at the beginning of the next song, “Bloody Murderer,” is great. We see a return of those bells, this time feeling more in place and necessary than the other song. Cello, guitar, and bells all meet in the middle for some main melody lines. This band at once gives us a relentless hard rock sound, tinged with emo influences, but refines it all with some classical instruments that honestly never feel out of place once on the record. “Sierra” falls in line with all of this. It mixes myth with introspection, and proves Tim Kasher as a really talented song writer, but I can’t help but feel that I could use a little more variety at this point. Cursive lets their incredible honed-in sound get the best of them sometimes. The question I really want to answer with these Time Capsule columns is whether or not these records have aged well. After years of listening, I’m back from the darkness to tell you that this album ages almost perfectly. It retains a beautiful sonic moment in music history: the early 2000’s, with all it’s pop-punk and emo glory, while reaching out a hand from the past into the future and giving us enough space to listen to this album for decades to come. The pure musical craftsmanship of this album can’t be ignored.